Kei apple is a lovely evergreen tree. It is native to the Kei River area of southwest Africa and abundant in the wild around the eastern Cape, Kaffraria and Natal. 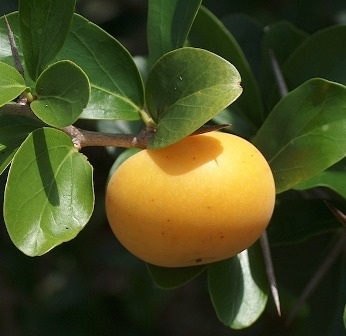 It was introduced into England in 1837 and from there further distributed to Egypt, Algeria, southern France and Italy, the Philippines, northwestern Australia, Jamaica, southern California and Florida.
. Kei apple fruits are yellowish orange in colour and up to 60 mm in diameter. Fresh ripe fruits contain 83 mg ascorbic acid per 100 g and 3.7% pectin These taste too sour for being eaten out of hand but are consumed after mixing sugar. These make an excellent jam. It is of considerable importance as a source of income for some local communities. This plant can resist drought as well as frost. Due to this reason, it is now being tried as a desert fruit in Israel. Kei apple is a member of the botanical family Flacourtiaceae. The plant usually grows 3-5 m in height, but sometimes can reach 8 m with a much branched crown. It is a tree or spiny shrub of moderate growth rate that may be planted close together to form a good hedge. 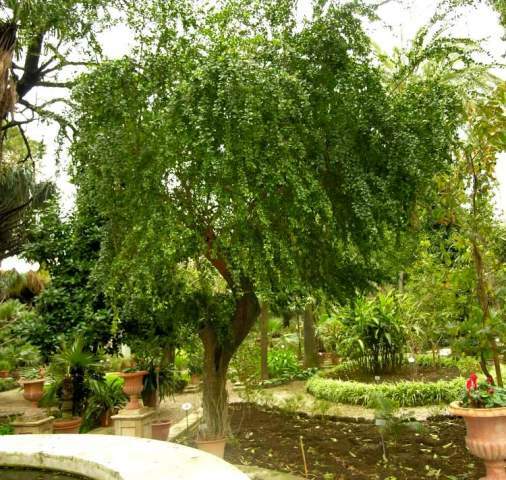 Creamy green flowers form in November to December. Male flowers are 3 mm long in dense clusters of 5-10 flowers. Female flowers are found in groups of up to three on stalks 4-10 mm long in leaf axils. This plant can be cultivated as a border, screen or used to form an impenetrable hedge around a garden to keep unwanted animals and people out. 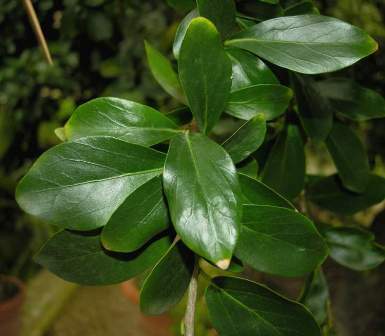 It will grow well in either full sun or light shade and will also need regular trimming in order to maintain a good hedge. The leaves are used as fodder (bulk feed for livestock). Kei-apple is propagated by seed. But it can also be multiplied by hardwood cuttings.